Minecraft will be making its way to Xbox 360 this winter will full Kinect integration. It will be an Xbox 360 console exclusive. i want it to come out right now so i don't have to sit at my desk and instead can be lazy on my couch. There needs to be an achievement for hatching 1,000 chickens. I'd so have it. Whores will have their trinkets. I've been interested in Minecraft, but I'm not a PC gamer, so this is my chance. It sounds interesting. It's been 7 years and I still haven't played a game I like better than Half-Life 2. I'm vaguely interested and yet have read VERY little about Minecraft. Will no doubt give it a shot once it hits the 360. 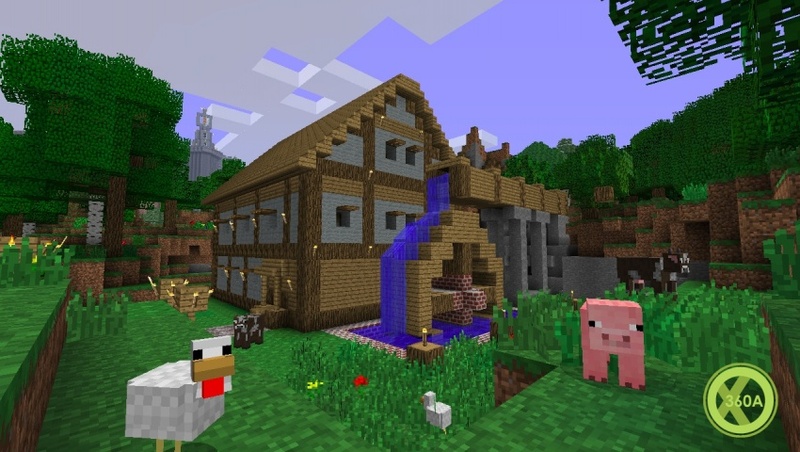 It's been in the XBLA pipeline for quite some time, but rest assured that Minecraft is coming, and it'll apparently be supported alongside the PC version with developer 4J Studios promising constant updates for the XBLA iteration of the game. Split-screen is also one of the game features that you'll be able to access in the XBLA version of Minecraft, as revealed during the Microsoft Spring Showcase this week, Kotaku reports. That means you'll be able to play with friends from the comfort of your couch, but you'll have to wait for Kinect functionality to be patched in at a later date, Eurogamer has discovered. So, while there won't be Kinect support immediately upon Minecraft's launch, at least split-screen multiplayer will help ease the pain. Minecraft is coming to XBLA in Q2 2012. Can we have a proper release date, please? Still cheaper than the PC version, and has split screen, achievements that add to your gamerscore, and UI improvements. Same. Can't say it really appeals enough to cost that much. I purchased this earlier this morning. The PC version is a later build I think so there are more options there in the in the Xbox one, but I really prefer the crafting system in the Xbox version over the PC version. No recipes to remember.